Classy Women not only respect themselves, but they also respect their home and their planet. Make every effort to keep our earth green, clean and healthy. Clean your Home the Natural Way with nature's finest ingredients. 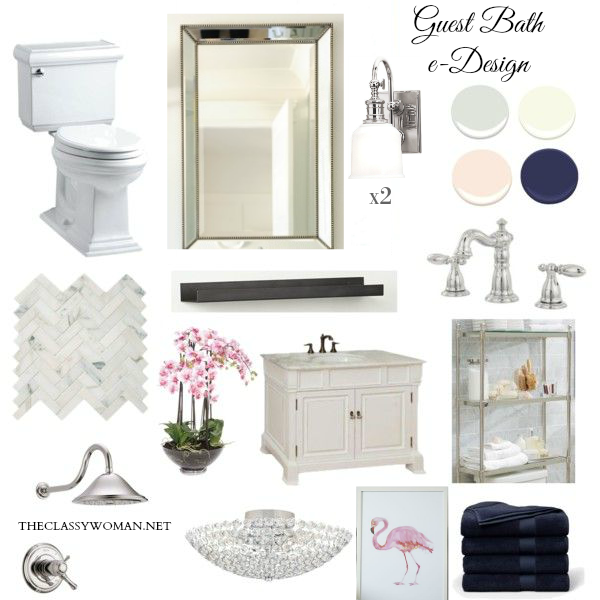 Here are a four that are not only very inexpensive but are eco-friendly to boot! Since most fabric softeners contain toxic ingredients both for the planet and for you, try something a little different. Use 2 tbsps in your rinse cycle for great results that will never leave your clothes feeling coated and won't irritate your skin. Don't worry-your clothes won't smell like pickles, I promise! Make sure you are using Distilled white vinegar, not malt, or something sticky. 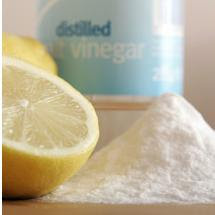 Vinegar has yet another wonderful use and that is getting your dishes sparkling clean! Yes, that's right, just pour vinegar into your dishwasher's rinse aid dispenser and it will keep them clean and spot-free. They say vodka is a natural mildew preventer. I don't know about you, but I'd prefer to drink the expensive stuff vs. clean with it. There is another natural alternative though. Vinegar will do the trick. I keep a spray bottle filled 3 parts vinegar, 1 part water and spray the shower after each use, especially the chrome. It keeps it shiny and free from hard water spots. While little citrus discs are available from the store, wouldn't you rather use something natural to clean and deodorize your garbage disposal? Use left over citrus rinds or rinds/flesh from squeezed lemons and oranges. Put one or two in with a little water into your disposal and voila, any bad smells will be gone! The citrus is biodegradable unlike the store-bought disks and do not contain artificial fragrance, phthalates, etc. When you have finished using your cutting board whether it be wooden, plastic or my favorite-glass, always use the flat side of a lemon-half or slice to clean the cutting board afterwards. This is my favorite thing to use after cutting garlic, it takes the smell away. I mentioned that vinegar is great for getting chrome to sparkle, you can use a little baking soda too if you need a little paste for extra scrubbing on a stubborn hard water scale. However, another great alternative is toothpaste! Maybe you bought a brand that you don't prefer, don't throw it away-use it with an old toothbrush to clean stubborn hard water stains and grime. You can use it in your bathroom, kitchen, for scrubbing between tiles, etc. The best part is the natural mint smell you'll enjoy while cleaning! Once my drains get a little clogged I always checked for hair first, as this is generally the culprit. Once you've cleaned that out, if your drain is still not working right, use a little baking soda and vinegar. First pour some baking soda in, maybe about 3 tbsp, then add some white vinegar and try to cover the drain and let it fizz and foam away. Once it sits for about 10-15 mins, pour boiling water (from a kettle or very hot tap) down the drain. It will start dissolving the grime naturally unlike the usual drano-type products that are horrible for the environment. Use vinegar in a spray bottle and recycled newspaper to clean your windows/mirrors. This is a much more eco-friendly and non-toxic way compared to ammonia-based products. There is a plethora of great natural products available to you, if you don't feel like mixing and making your own. Try Seventh Generation, Method, or Ecover. Those are my three favorite brands. They offer everything from hand soap to dishwasher detergent to dryer sheets and diapers! They can be found online, at a Whole Foods Store or in some cases your local grocery store. I hope you will try these natural methods so that you can reap the benefits of Spring Cleaning without the toxic cloud that will pollute your indoor air quality as well as our waterways, fish and ground. For some great tips on how to keep a clean fridge click HERE. You can click HERE for some secrets on maintaining a clean car. Do you use natural cleaning products are ingredients? What are your favorites?